One of popular Pokemon Go hacks will be tested this day. Most of the staff will be overlooking players to see if any 3rd party hacking apps are being used while they play. If you get caught using cheats you will get kicked out of the festival. So a lot of Pokemon Go hacks are going to have to be able to have some kind of cloaking feature built into it. There are already some programs that have this feature, it’s an invisible button located in areas of the screen that are usually not tapped. You can place it on custom areas and set the duration of the tap and press for as long as you can before the hack is activated. You won’t need to use any GPS hacks while you’re at the festival because you will only be in one area which when you leave, the even Pokemon will disappear. 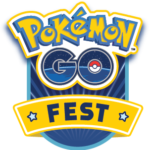 The Pokemon Go Fest will take place on July 22, to celebrate their first birthday! So if you didn’t get your ticket make sure you get it right away because this event will sell out. UPDATE: It’s now sold out. There will be some items that will be banned during the festival which is understandable. But for some items it’s completely ridiculous. One of the items that are banned is an umbrella, so if it’s raining out be prepared to get soaked. No video recording is allowed as well which is absurd. Getting media coverage on social media will greatly increase the amount of people coming back to the game. Maybe not back to the numbers as when they first started but at least bring back some of the trainers that had fun playing it. If you’re trying to take pictures during the event don’t even think about bringing your bulky DSLR. Anything with a detachable lens will not be allowed. Only point and shoot cameras will be allowed. You can’t even bring a selfie stick! Get used to asking other people to take photos of you and your friends. I wonder how strict they’ll actually be during the event. You can’t even represent your team with flags or banners. As far as food and water goes… everything must be bought inside of the festival. So you can’t bring in any outside food or drinks. This will almost be like a sporting event. Pokemon Go was always a free to play game with no borders but during the festival you’ll be caged in. We hope you have as much fun as you can!